Valentine's Day is in one month and it's time to get in the holiday spirit! 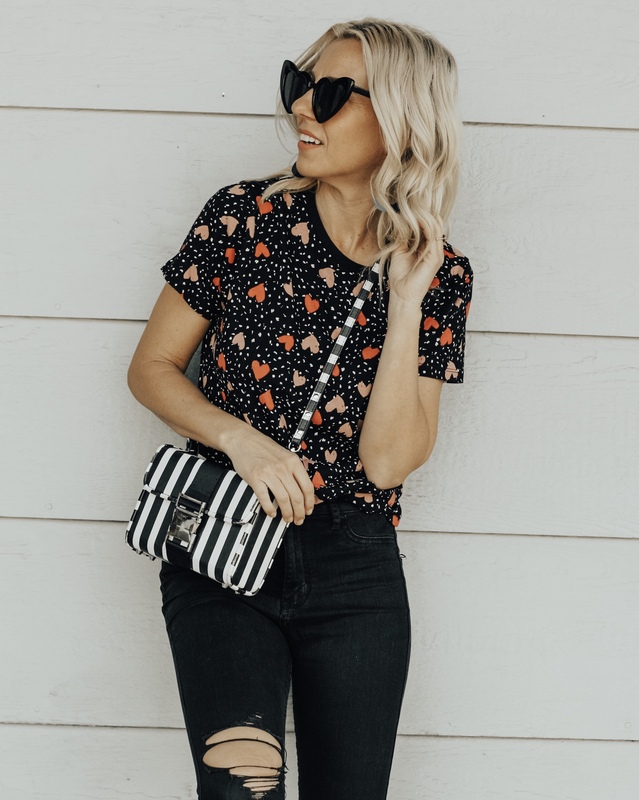 One of my favorite ways to do that is by wearing fun Valentine's day inspired graphic tees. 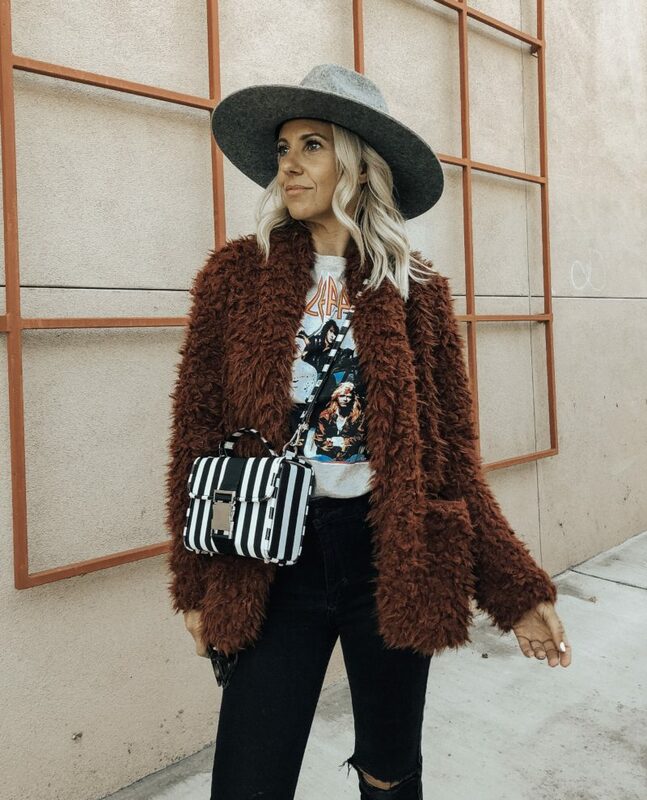 What I love about a tee shirt is that it can easily be dressed up or down and there's tons of different ways to style them. They are also an easy and affordable way to have fun with the Valentine's holiday. I styled the first lips tee with black faux leather shorts and a furry cozy jacket. And the other two tees I styled with distressed skinny jeans and just mixed up my accessories. The one thing I paired with all 3 looks and my must-have accessory for this season is my heart sunglasses. I have the black, pink and the white ones. For only $10 they are any easy way to add some fun to your outfit. 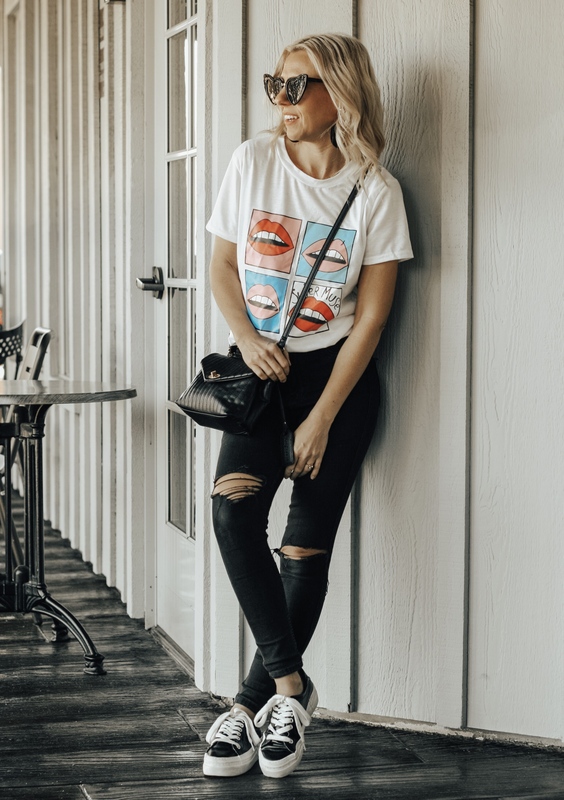 So here I've rounded up my favorite Valentine's inspired graphic tees. Some are as low as $10 and all are super cute!! Happy Valentine's! !